What makes CX projects successful? What’s really needed is end-to-end automation that can instantly act upon customer messages by automatically identifying customer’s intent, engaging meaningfully, and instantly fulfilling customer requests. Customers expect this sort of instant gratification today. 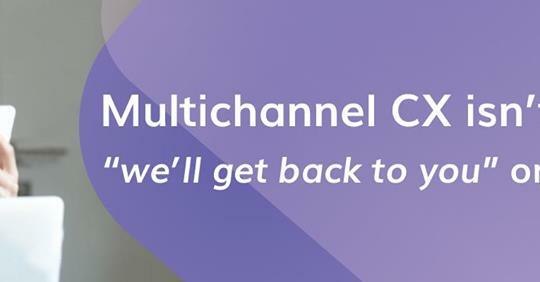 Here is an interesting article about taking multi-channel communication to another level.